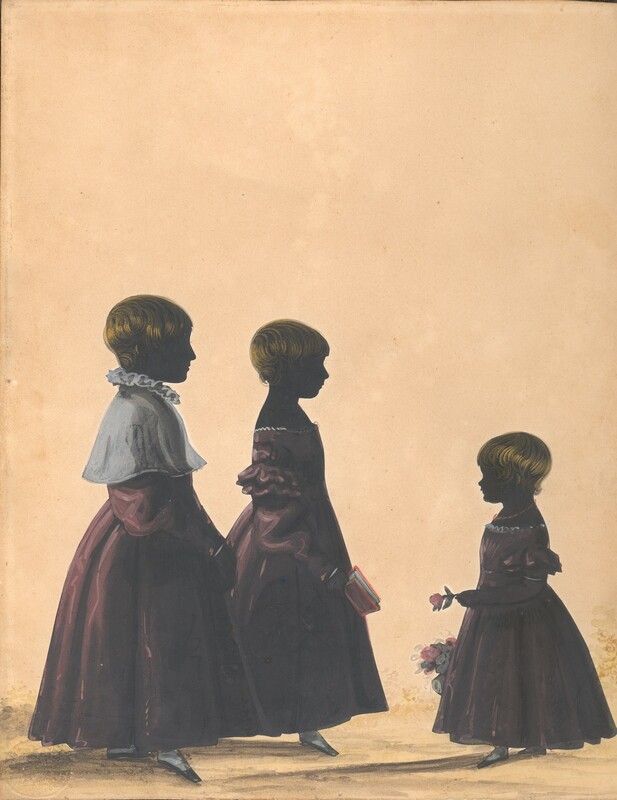 This charming cut and painted silhouette portrays three young children in a garden setting. 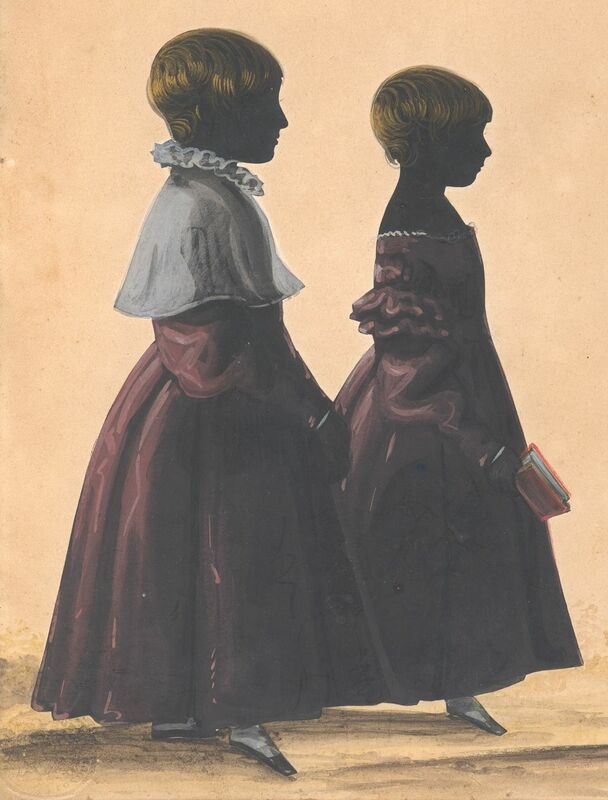 The children are all dressed in a rich claret colour that is particularly striking. The youngest child is wearing a short-sleeved dress and a coral beaded necklace. 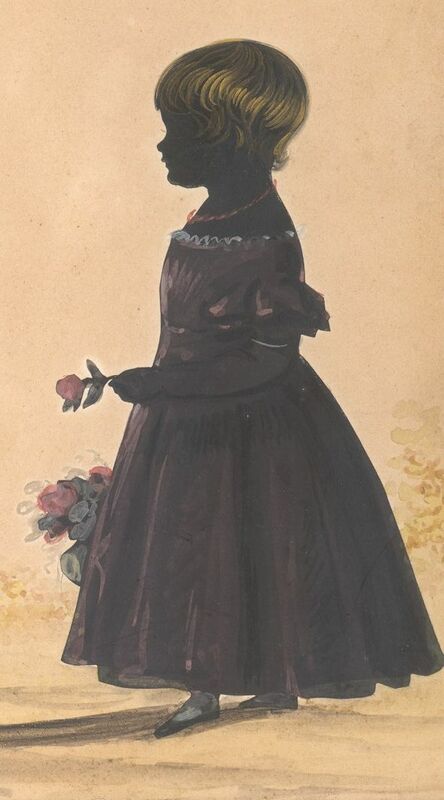 She is carrying a basket of cut flowers and is holding a pink rose. 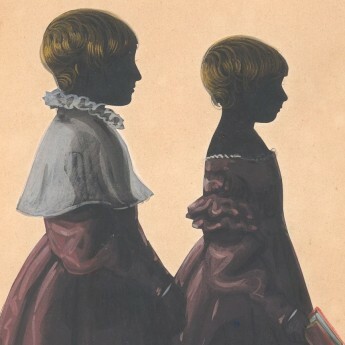 The middle child is wearing a dress with long sleeves ruffled on the shoulder and is holding a leather-bound book. 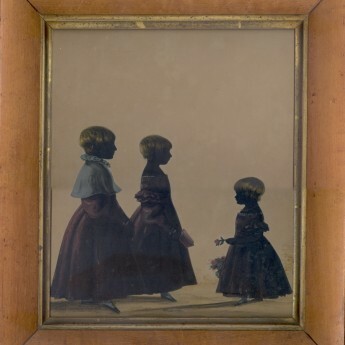 The tallest child, most likely a boy, appears to be wearing an ankle-length coat, again richly coloured, together with a white cape with a ruff collar. All three are wearing flat shoes secured by ties. 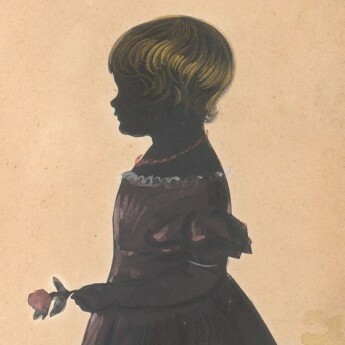 The silhouette is cut out and then painted in watercolour with gilt highlights on the hair. The background is painted in sepia watercolour. It is unsigned and is attributed to Beaumont on stylistic grounds, most significantly the use of unusual colours for which Beaumont was renowned. The background card has age toning but overall the silhouette is in fine condition. Handsome flat profile maple frame with a gilt slip. 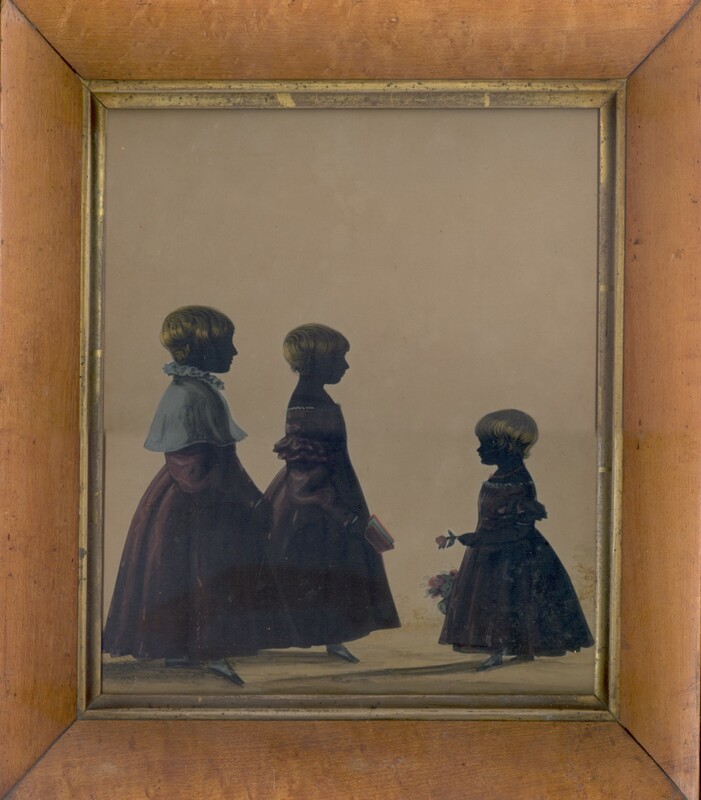 W. Dyce Beaumont worked during the 1830s and 1840s. Although sometimes dubbed ‘Beaumont of Cheltenham’, very little is actually known about him. His work though is critically acclaimed as ‘among the finest of the period’.